Construction Innovation has published a report on the outcomes of the Sydney Opera House FM Exemplar research project. 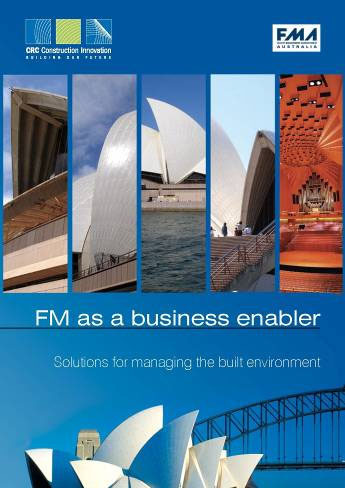 The FM as a business enabler: Solutions for managing the built environment publication was the result of a two-year project led by Stephen Ballesty of Rider Hunt and the Facility Management Association of Australia. The project showcases the Sydney Opera House, Australias most iconic building and one of the worlds busiest performing arts centres, as a case study in developing FM as a business enabler. The project focused on three main research streams: digital modelling, services procurement and performance benchmarking. These have been combined into an integrated FM solution intended to have applications for the broader FM industry. The project also has an international flavour with iconic facilities from around the globe being invited to participate, providing an opportunity to learn from others and showcase Australias FM applied research expertise on the world stage.